Survival Analysis is used in areas where the time duration of a sample of observations is analysed until an event of death occurs. Survival analysis is applied to mechanical engineering to predict systems failures and in medical sciences to predict patient outcomes. In this post I’ll be using Survival Analysis for a more lighthearted application–to analyze the career lengths of Cricket players. Due to lack of resource on python for data science, I decided to create this tutorial to help many others to learn python faster. In this tutorial, we will take bite sized information about how to use Python for Data Analysis, chew it till we are comfortable and practice it at our own end. The age of big data is upon us, and it’s here to stay. With more data being collected than ever before, extracting value from this data is only going to become more intricate and demanding as time goes on. The logic behind the big data economy is shaping our personal lives in ways that we probably can’t even conceive or predict; every electronic move that we make produces a statistic and insight into our life. As participants in the consumer economy, we are mined for data when we connect to any website or electronic service, and a data scientist is there to collect, clean, analyse and predict the data that we provide by using a combination of computer science, statistical analysis and intricate business knowledge. As we can see, this responsibility is a combination of multiple skill sets and expertise compared to a typical Big Data Developer or Business Analyst. If you too aspire to work for such top companies in future, it is essential for you to develop a mathematical understanding of data science. Data science is simply the evolved version of statistics and mathematics, combined with programming and business logic. I’ve met many data scientists who struggle to explain predictive models statistically. More than just deriving accuracy, understanding & interpreting every metric, calculation behind that accuracy is important. Remember, every single ‘variable’ has a story to tell. So, if not anything else, try to become a great story explorer! Apache Hadoop has become a de-facto software framework for reliable, scalable, distributed and large scale computing. Unlike other computing system, it brings computation to data rather than sending data to computation. Hadoop was created in 2006 at Yahoo by Doug Cutting based on paper published by Google. As Hadoop has matured, over the years many new components and tools were added to its ecosystem to enhance its usability and functionality. Hadoop HDFS, Hadoop MapReduce, Hive, HCatalog, HBase, ZooKeeper, Oozie, Pig, Sqoop etc. to name a few. That’s all for March-2016 newsletter. Please leave your suggestions on newsletter in the comment section. 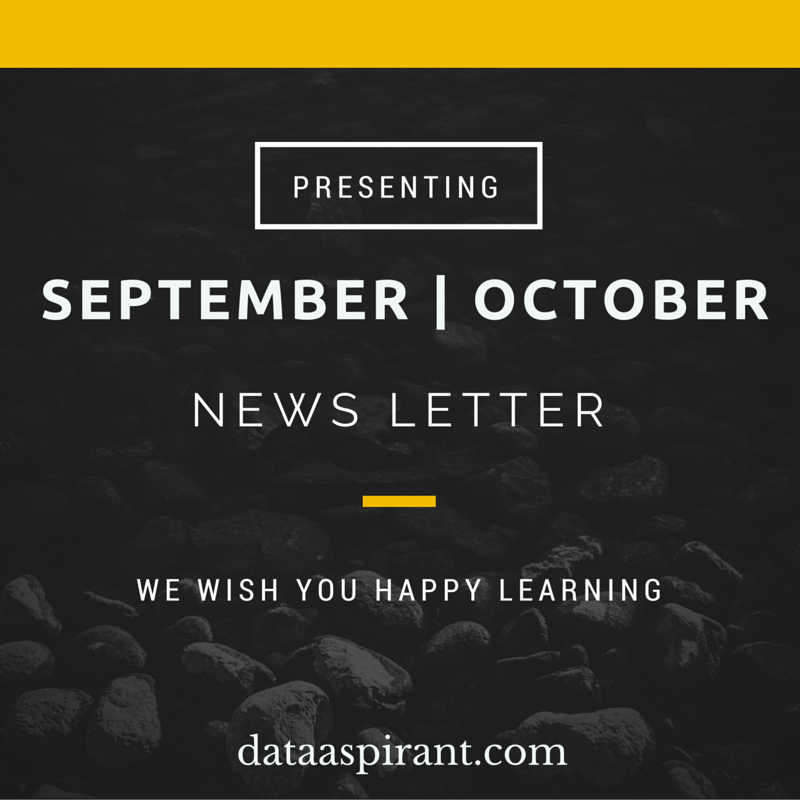 To get all dataaspirant newsletters you can visit monthly newsletter page.